Georelated - Mapping, GIS and Location Intelligence Technology: Technology: 3D GIS Moving from Desktop to the Web? Storage volume or 3D surface area calculations for civil engineering or minerals, oil and gas. Understanding the features impacted by a proposed electricity cable route. Spatial Business Intelligence – the use of the 3rd dimension to analyse variables associated with a 2D spatial data variable or metric. Conceptual Visualisation – Base mapping in 3D. Using 3D model to understand the context of a location or create an immersive understanding of place. 3D GIS data models have evolved around logical extensions to commonly used 2D representations of geography. Vector – This approach uses a set of 3D vectors to form a framework or mesh representing the shape of the feature or surface. A fill pattern, veneer or drape is used to make the frame into a solid and provide colour or apply real world graphics such as photographs or aerial photography to the shape. Line work uses a similar approach to 2D vectors to deliver 3D representation. Grid – Grids and coverages provide support for elevation and Terrain models are used to provide cell/tessellation based model of coverage or grid representation. Cell values are used to provide elevation measures. 3D GIS analysis and visualisation is currently almost entirely dominated by desktop technology. Examples include ESRI 3D Analyst, MapInfo Encom 3D and Autodesk Map 3D. These technologies provide support for both vector and grid models. The dominance of Desktop 3D GIS may be well the result the strong limitations that existed until recently within browsers and the limited support available for 3D within the major web map servers from ESRI, MapInfo (aka PBBI), Autodesk and Intergraph. Where 3D support is provided the focus appears to be revolve around delivering data including the Z dimension and 3D visualisation but rarely offering support for 3D query and enhanced 3D analysis capability. ESRI ArcGIS Server offers more than most in this field but delivers a level of complexity may be beyond the needs of the average web mapping application. Support for the concept of 3D is now fairly mature within geospatial standards. The Open Geospatial Consortium (OGC) web services stack provides support for both 3D models described above within Web Coverage Service (WCS) and Web Feature Service (3D vectors). Geographic Mark Up Language (GML) and Key Hole Mark Up Language (KML) data standards both support Z values. However, similar to the map servers standards support is again focused on support delivering data including Z values from 2D query and visualisation. Until recently it was only possible to deliver web mapping applications with 3D GIS capability using plugins. Plugins were available for the X3D and VRML standards that provide support for browser based 3D vector graphics and virtual reality models. Interestingly as far back as 2007 MapInfo Envinsa map server supported VRML rendering of maps. These plugins were not widely adopted and suffered from performance issues when applied to larger volumes of data more common found GIS web mapping applications. To overcome these issues some implementations used an alternate delivery approach. This involved using layers of code to emulate 3D geography support in more widely adopted technologies such as Flash and SVG . Some examples can be found here (1,2). However, this approach suffered heavily from performance limitations and gained limited adoption. In addition both of these approaches suffered from one major adoption barrier – plugins. Georelated captured some of the problems of plugins in the Rise of Globe Web Mapping Post. Interestingly support for 3D vector graphics in flash is now strong in Flash with the introduction of Flash Stage 3D with GPU acceleration. 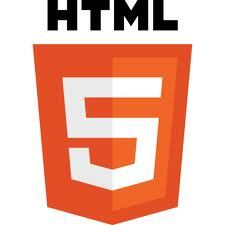 Many of these problems may soon be resolved with the introduction of HTML 5 and rapid adoption of higher performance modern browsers. HTML 5 includes standardised support for WebGL providing the browser with access to hardware accelerated 3D graphics technology without plugins and browser independence. WebGL is truly capable of supporting the levels of performance required to create high interactive 3D web mapping applications being a close cousin to OpenGL and similar to Microsoft DirectX as used in desktop GIS. It should be possible to deliver highly interactive support for both Grid and Vector models with WebGL, some careful thought and clever coding. For more information on the benefits of using WebGL and the support available in browsers take a look at the previous post on globe web mapping. There are many others but still no nice examples of classic GIS 3D analysis. Google Maps has recently released an early example of 3D Web Mapping for contextual data visualisation in Google MapGL. 3D web mapping has not even started to show its true potential. There are some limitations within the supported browsers but the benefits should out way the constraints. Perhaps 2012 will bring higher utilization of this technology to provide cloud/SaaS 3D analysis web mapping.